Getting a new dog is a fun and exciting time, but there’s always one part I struggle with — coming up with the perfect name. I don’t know about you, but for me it’s hard coming up with a bunch of name ideas on demand; and finding the one that sticks? Well that’s even tougher. You want a name that sounds good, fits their personality, and one that the whole family can agree on. 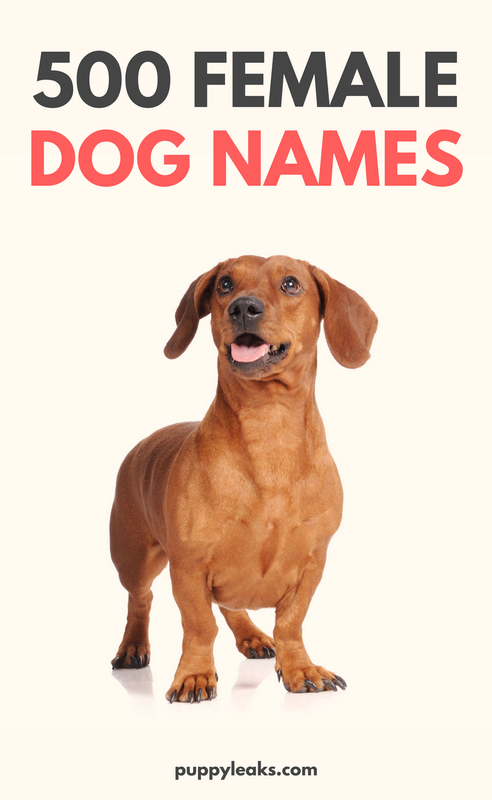 And since finding names that fit those criteria can be pretty tough I’ve put together a list of 500 popular female dog names to help get you started. That’s my strategy when it comes to picking names — read through a bunch of dog or baby name lists and start writing down the ones you like. And then before you know it you’ve got a list of 5-10 potential names and you can move onto part two — picking one that the whole family can agree on. So if you’re looking for a name for your female dog and don’t know where to begin you’ve come to the right place. Whether your preference is traditional, contemporary or unique this list has something for everyone. From classic dog names like Lassie to trendy names such as Bella, here’s 500 female dog names. What Are Your Favorite Female Dog Names?